After a busy day of elegantly surfing through the rapids of the Kawarau River (or descending in a decidedly less graceful ball of flailing limbs and splashes, as the case may be), and a couple of cool beers at Minus 5˚ Ice Bar you are going to need to find somewhere to rest your head for a few hours. After all, you don’t want to be too tired for that bungee jump do you? 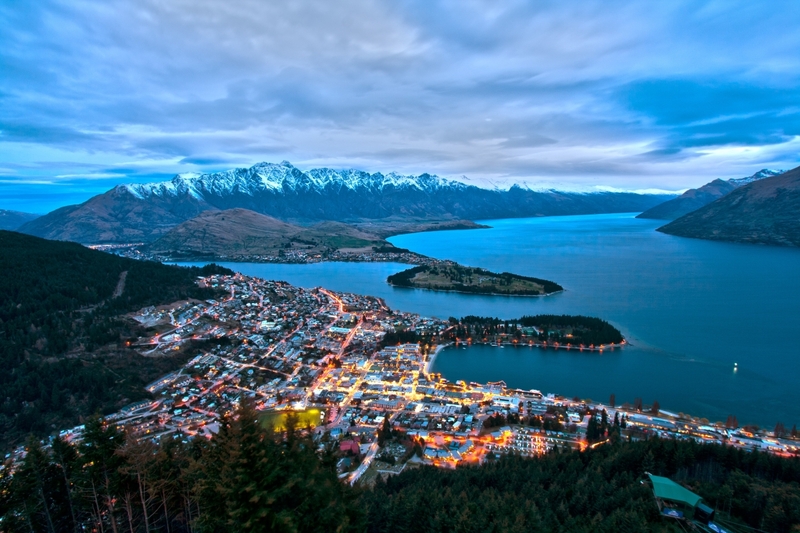 Luckily Queenstown attracts thousands of budget travellers every year, so it has plenty of cool hostels for you to take your pick from – as long as you book early. Whether you prefer greater privacy or more social living arrangements, a luxury bespoke experience or the cheapest place with clean sheets you won’t be disappointed. A purpose-built hostel positioned in the centre of Queenstown, Nomads Queenstown is a friendly and laid back establishment. Views of Queenstown’s Lake Wakatipu and the snow-capped Remarkables mountain range surround the hostel, and you are perfectly located for city exploring. The hostel provides large communal spaces for its guests to gather in, including a lounge with an open fire, a sauna, and fully equipped kitchen and laundry facilities. Social events are organised to bring guests together and reception is open 24 hours to answer any questions or help you book an amazing day out or your travel arrangements out. Visitors staying at Nomads Queenstown will find the rooms to be clean, comfortable and welcoming. You even get a free breakfast and a small dinner thrown in for free, so if you don’t have time to grab any food between activities you know you won’t be going hungry. Also located near Lake Wakatipu with alpine views is YHA Queenstown Central. Situated right at the heart of the city it is ideally for travellers that want to make the most of Queenstown’s bars and clubs, and the hostel is also listed as a drop-off and pick-up point for many Queenstown’s day tours. It is the perfect place for thrill seekers to gather, with plenty of communal spaces, but the small shared rooms with private en suits also mean that you are going to be able to get a good night’s sleep. The hostel staff are happy to recommend and arrange activities for guests, or you can swap with the other travellers in the hostel’s common room. There is a fully equipped kitchen and a supermarket close by for those who prefer to keep costs down and eat dinner in front of the cable TV, rather than eat out, although with so many great restaurants close by the temptation might win you over. The Tahuna Pod Hostelis a designed to incorporate traditional values and Maori heritage in a quirky combination. It is the very first pod hostel to open in New Zealand and is close enough to the city centre to be convenient but far enough away to remain a quiet location. Guests can enjoy a little extra privacy thanks to the lined curtains that are a feature of every pod. The hostel also provides free linen, free Wi-Fi, free breakfast and free soup in the evenings. Common areas such as the TV lounge, kitchen and atrium are clean and airy and spectacular views of Queenstown can be seen from the large balcony. The Tahuna Pod Hostel does cost slightly more than some of the other hostels but guests will not be disappointed. The extra privacy from individual shower units and the previously mentioned pod curtains along with the homely atmosphere is definitely worth it – as long as you aren’t claustrophobic that is.